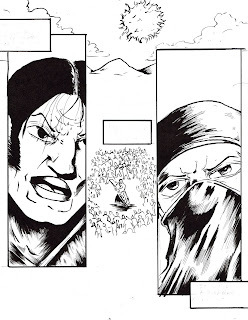 Pages from Nickname: Napalm. 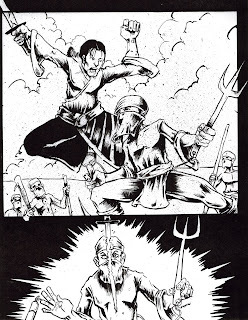 The bottom two, are from Napalms former friend and partner Cool Ninja Girl origin. 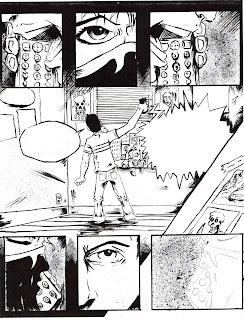 I inked them only with pen to give it a smoother and cleaner look. It took forever to do, but I think they turned out pretty good. 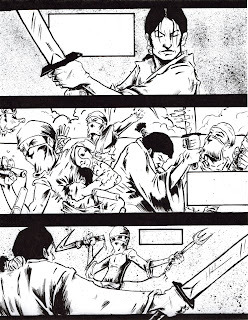 This Samurai action is actually the first four pages of Nickname: Napalm. 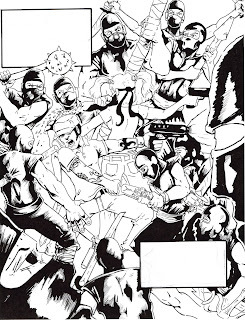 Yes, that story is about a former hit man, who is now a struggling comic artist. But trust me it will make since when the final books done. 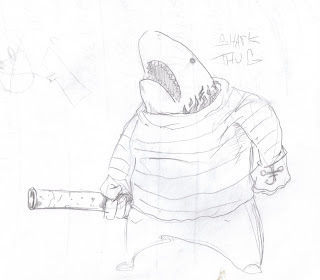 Shark Thug keeps popping up in my sketch book. He destroys wanna be white boy gangstas!!! 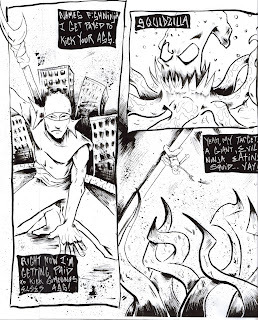 Look for him in the 3rd issue of Jaicore. 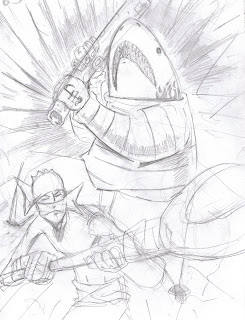 Fish Ninja is a new project from me and Doug Meyer. It'll be a flip book. 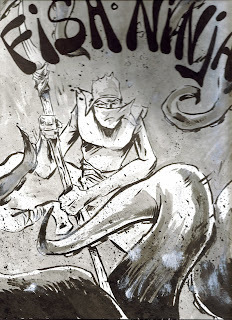 Hes doing his origin, and I'm just doing a story as an excuse to draw a ninja fighting A giant squid. 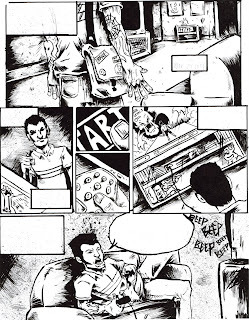 We are looking for some pin ups for the book. So if anyone is interested, please let me know. 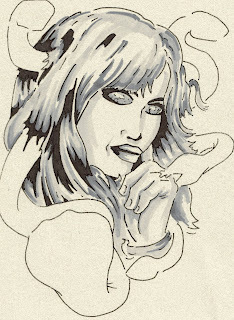 First ones a tattoo design still in progress for my friend and Sensi, Mike. The Monkey King inspired one is a painting I did for him as a gift. 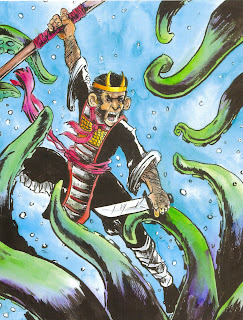 He loves squids as much as I do, so I had the Monkey King fighting off our favorite underwater creature. 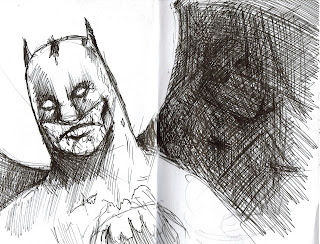 These last two are from a very small sketchbook that Doug Meyer gave me on the way to SPACE con. Thanks Doug. 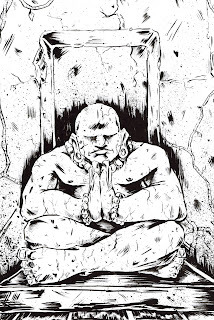 I inked this at my table at SPACE con. 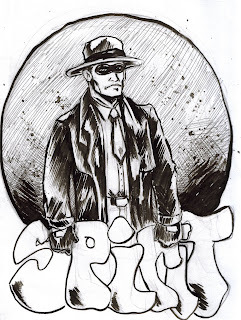 The Spirit has been one of my favorite comic creations for a long time. 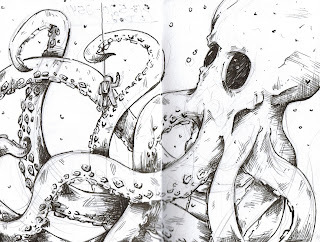 This was just a fun drawing I did in my sketchbook.